While studying numerous commentaries explaining the Quranic verses both in the Quran and the Hadiths, I was struck by a sentence which was repeated innumerable times proclaiming that such and such an event happened and THEN (thereafter) a verse was revealed! “And then it was revealed…” is a mantra that permeates Bukhari, Muslim, Abu Dawood and Tirmidi Hadiths as well as Ibn Ishaq’s biography of Muhammad. In hundreds upon hundreds of instances, an event had occurred or an action was taken or ordered by Muhammad, for which, AFTERWARDS, that is after the event, a convenient and very appropriate ‘revelation’ was ‘descended’, justifying or explaining it by an indisputable ‘divine decree’. In the cases of the Hebrew prophets, they predicted events Beforehand and these predictions turned out to be true. This is the essence of prophecy. In Muhammad’s case, almost none exist in such a manner, but are invariably ‘prophesized’ AFTER an event had occurred and in HIND-sight. ‘ ….then Gabriel revealed….‘ that fill them. The Prophet said, “Whoever takes a false oath to deprive somebody of his property will meet Allah while He will be angry with him. This verse was revealed concerning me. “And eat and drink until the white thread appears to you distinct from the black thread,” was revealed, but: “… of dawn” was not revealed (along with it) so some men, when intending to fast, used to tie their legs, one with white thread and the other with black thread and would keep on eating till they could distinguish one thread from the other. “… of dawn,” whereupon they understood that meant the night and the day. So it became obligatory that one-hundred (Muslims) should not flee before two hundred (non-Muslims). Muhammad’s Allah obviously did not realize that 20 of the followers of Muhammad could NOT possibly fight against 200 and win so when Muhammad’s followers objected, he changed his mind to reduce the odds to the more realistic 2 to 0ne ratio. Aisha said: I heard the Messenger of Allah seeking refuge from the torment of the grave after this. This verse was revealed (in this way): “Guard the prayers and the Asr (evening) prayer.” We recited it (in this very way) as long as Allah desired. “Guard the prayers, and the middle prayer. Mus’ab ibn Sa’d said: My father took a sword from the Khums (20% Muhammad and Allah’s share of the plunder) and brought it to the Prophet and said: Grant it to me. He refused. “They ask thee concerning the spoils of war. Say: The spoils of war are for Allah and the Apostle” (viii.1). Almost all such ‘revelations’ occurred AFTER an event had transpired or because Muhammad needed a divine justification and SANCTION for any and ALL of his requirements, carnal or otherwise. It is obvious from these reports that the god of Muhammad, Allah, was ready and waiting at all times, to be at Muhammad’s beck and call, to fulfill any and all of his requests instantly and without any prevarications. 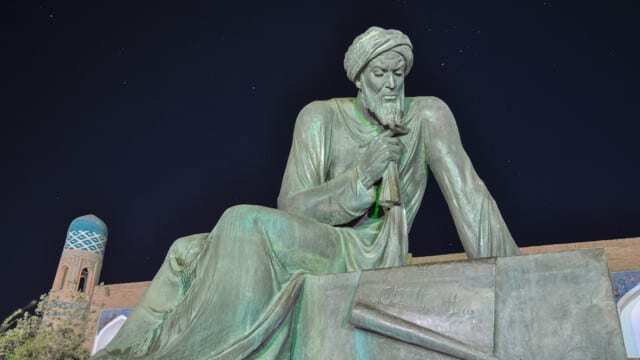 Of all the prophets so far recorded, Allah – the god of the pagan Arabs – was most and singularly mindful ONLY of Muhammad’s personal needs and requirements. One does not have to be a scholar or a rocket scientist to realize, that there is something unusual and unsavoury about the fact, that Muhammad claimed that all his ‘revelations’ were divinely inspired when in fact, based upon all the above stories alone, not one of them could have been. Each one of these stories, and hundreds more in both the Quran and other Hadiths, prove beyond a reasonable doubt, that they were MADE TO ORDER ‘revelations’ by Muhammad, as and when he needed them. The whole of the Quran is nothing more than Muhammad’s own ALTER EGO but very cleverly projected into the unsuspecting mouth of Allah (originally, the supreme pagan rock god of the Quraysh tribe, embedded into the corner wall of the Ka’ba, called the Black Stone). In simple but very unchallengeable conclusion, Muhammad, Gabriel, Allah and Satan are ONE and the SAME character: Muhammad the ventriloquist. The most shocking and disturbing realization from all of the above, is the certainty that even among the most learned followers of Muhammad, it is IMPOSSIBLE for any of them to admit this fact because it would destroy and completely discredit Muhammad, his Quran and the whole of ISLAM.